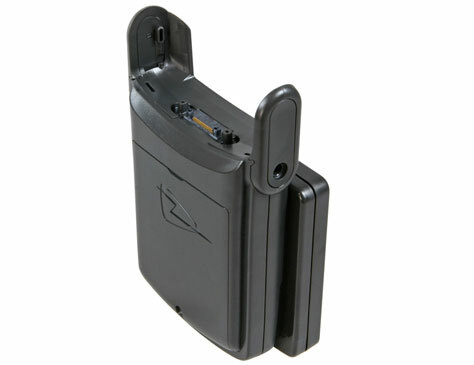 The 1101 UHF RFID Reader provides a UHF RFID upgrade path for Motorola MC70, MC75 and MC75A terminals. It snaps on to the bottom of the host terminal and uses the serial port for all data communications. The reader supports reading and writing of EPC Class 1 Generation 2 (ISO 18000-6C) transponders, and has been designed for operation in European (ETSI EN 302 208) and US (FCC Part 15) regulatory environments, including Dense Reader Mode Capability. 1101 UHF RFID Reader, UHF RFID Snap-On Reader for the Motorola MC70/75/75A (FCC Variant). Includes Reader, Battery, PSU, SDK, Line Cord, Custom USB Cable, Tags, and Display Case. 1136 4-Slot Battery Charger, 4-slot battery charger. Power supply (Part# PWRS-14000-148R) sold separately.